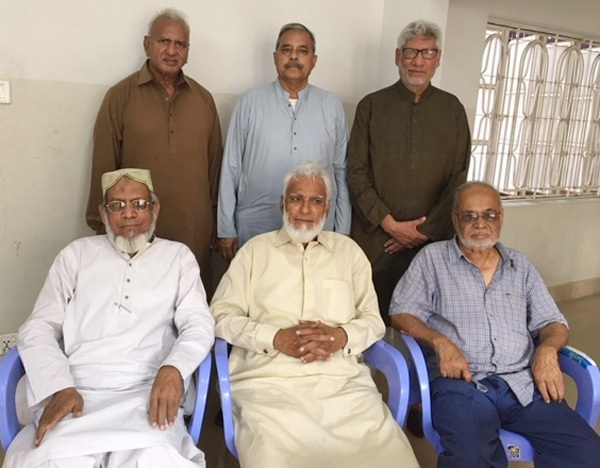 The monthly progress meeting of Saudi Aramco Ex-Employees Association (SAEEA) was held on May 12, 2018 at Kamal Farooqi’s office. KAF thanked all attendees and updated about SAEEA activities. Mohammad Shafiq Khan could not attend the meeting as he is still not well and his wife is also sick. SAEEA very recently visited a farmhouse “COUNTRYSIDE CHALET”. All attendees discussed the farmhouse for SAEEA's next function and mutually agreed to use the same place. KAF requested MAM to get an appointment with the farmhouse management and finalize the function. The tentative date is July 08, 2018. During SAEEA previous meeting, SAEEA requested the Ladies Representative to survey the market and provide her recommendations for giving away items during the next reunion. She submitted photos of a sample and her recommendations. Another survey is recommended for having some more options. SAEEA facing difficulties in arranging events from the collected annual subscription. All attendees agreed to raise this point and getting all members' opinions during the next reunion. SAEEA website agreement with the company expires on June 30, 2018. KAF requested Iqbal A. Khan to finalize and renew the contract for next year. The current receipts, being used will exhaust soon. KAF requested AQ printing receipts and lucky draw coupons for future use. IAK updated about SAEEA web activities. KAF prayed for all sick people.